Whether you are a landscape design, installer, or both, it can be challenging to keep a client aware of the scope and costs of a project. Many people get so excited about the work that they can neglect to keep track of the costs, and that can mean trouble for everyone involved. 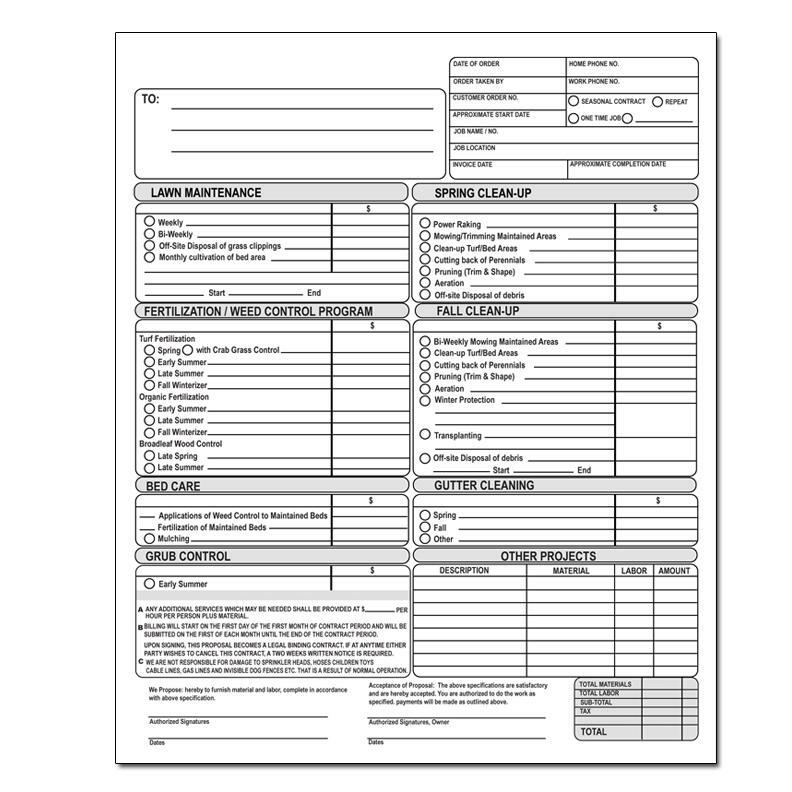 Instead, you can start each new job using one of our custom landscaping invoice forms. These come as two to four part forms that feature your company logo and contact information and a detailed worksheet of every possible option clients might choose. You create an estimate or invoice for the work, and they sign off on the work being requested through the landscaping order forms. You can use the various pages to initiate the work, keep track of what is done, and to then close out the project when it is completed. 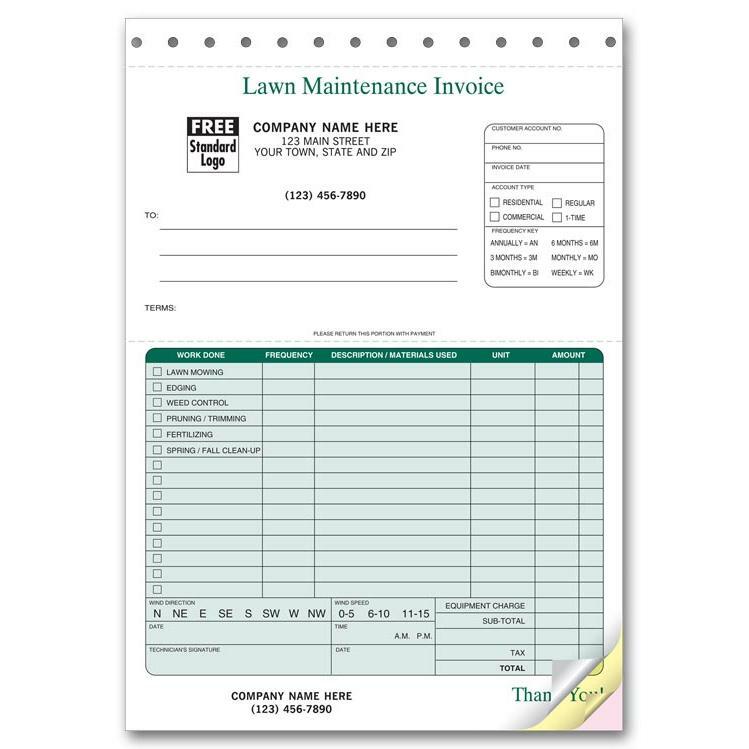 There are areas for labor and material costs as well as very specific information about the scope of the work, and this ensures that landscaping invoice forms help you to keep things on track, on budget, and within the client's expectations. 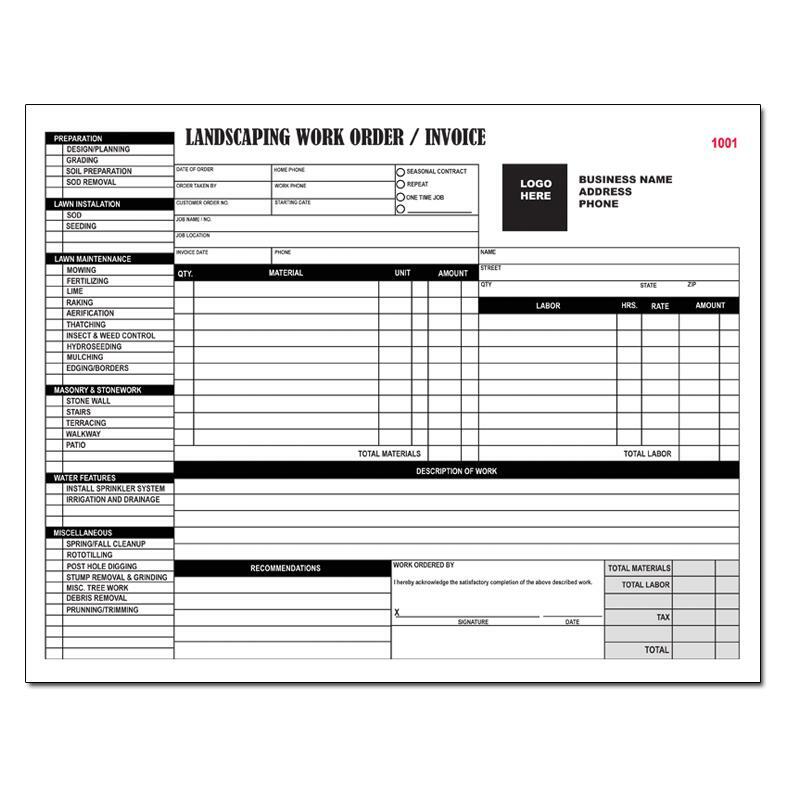 Landscaping order forms are also great for creating terms for ongoing jobs such as lawn and garden maintenance too.